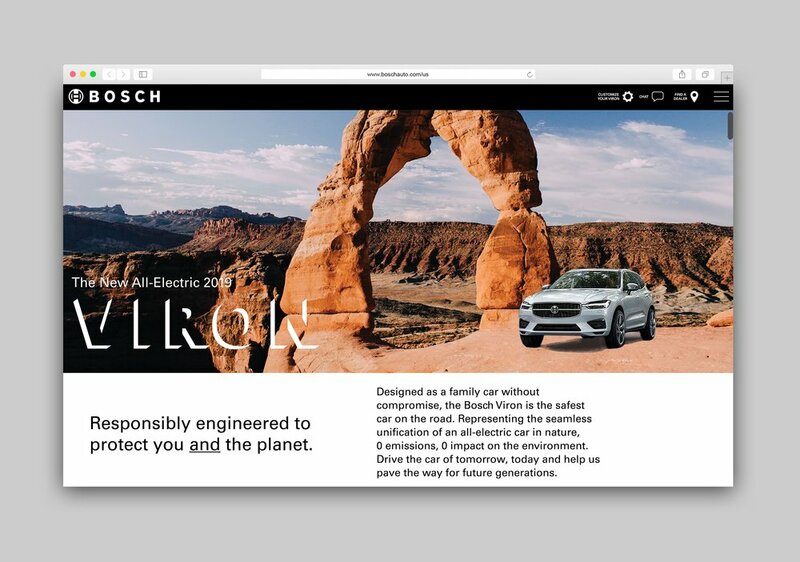 A conceptual rebrand of Bosch and the expansion of the company into the electric automobile industry. Representing the seamless unification of an all-electric car in nature with 0 emissions and 0 impact on the environment. The VIRON logo is evocative of a tire-track in the earth, the only impact that a car should be leaving in nature. This rebrand also includes augmented reality posters.